Customer service is not a department, it's a way of life. 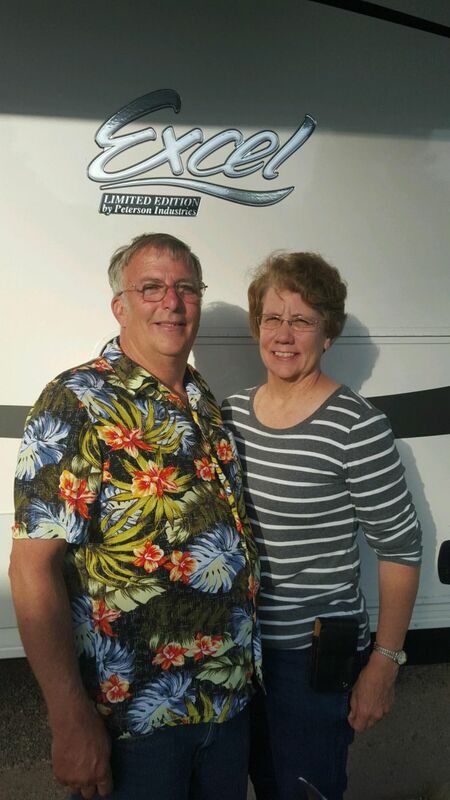 Kathy was raised in the RV business, working for her parents, Tony and Mildred Nanneman from 1971 until she and Ralph opened RV Sales in 1982. 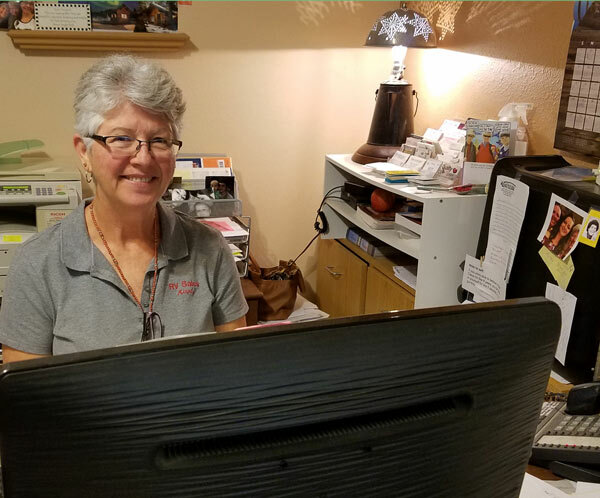 Kathy has always believed that the best part of selling RVs is that most of the time our customers become great friends–sometimes more like family! RVers are typically happy and friendly people, and helping them never feels like work. In what spare time she has, Kathy loves camping, spending time with her mom, and travelling back in time in order to domesticate dinosaurs. Kathy looks forward to traveling more and spending time exploring the country in her Excel with Ralph. This dream is closer to reality now, as Ralph and Kathy have semi-retired and are able to spend more time on the road! 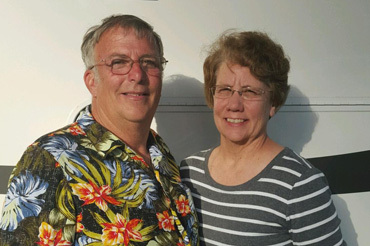 Ralph has more than 45 years experience in the RV Business and is famous throughout the industry as someone who can fix nearly anything, and always has a big inventory of new and used parts. Throughout the years, Ralph has always been willing to do whatever is needed to help his customers out: he even traded for a herd of goats once! Ralph is lucky because he gets to work with the love of his life, Kathy, every day. Ralph enjoys reading nonfiction books, listening to talk radio, and telepathically communicating with dolphins. Although he is technically retired, he still has an active involvement in our service department. It’s hard to imagine RV Sales without him, so we are glad that he stops in to visit. Ralph looks forward to retiring for real some day and dreams of traveling full-time in his Excel and spending a minimum of one month in every state. This dream is closer to reality now, as Ralph and Kathy have semi-retired and are able to spend more time on the road! 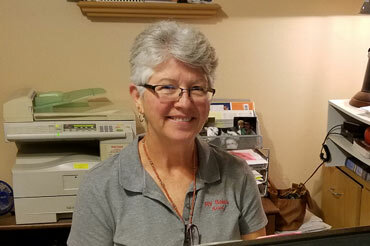 Valerie has been with RV Sales most of her life: Ralph and Kathy started the business when she was two so that Kathy could be a stay at home mom. 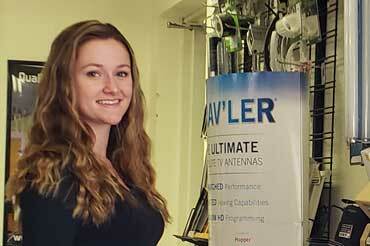 When Val graduated high school in 1997, she had no plans to work in the RV business. She graduated from NMSU with a degree in government in 2000, and an MBA from Strayer University in 2005. 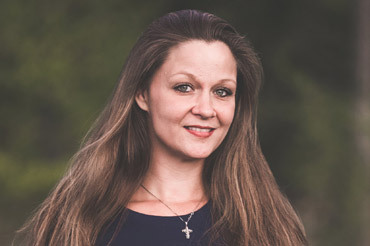 Valerie has worked on Capitol Hill with Senator Domenici, and as Vice President Columbus Chamber. Valerie received the Governor’s Award for Tomorrow’s Leaders in Indiana, helped lead the Columbus Chamber to be recognized as Chamber of the Year at both the state and national level and has served in leadership roles on numerous boards. 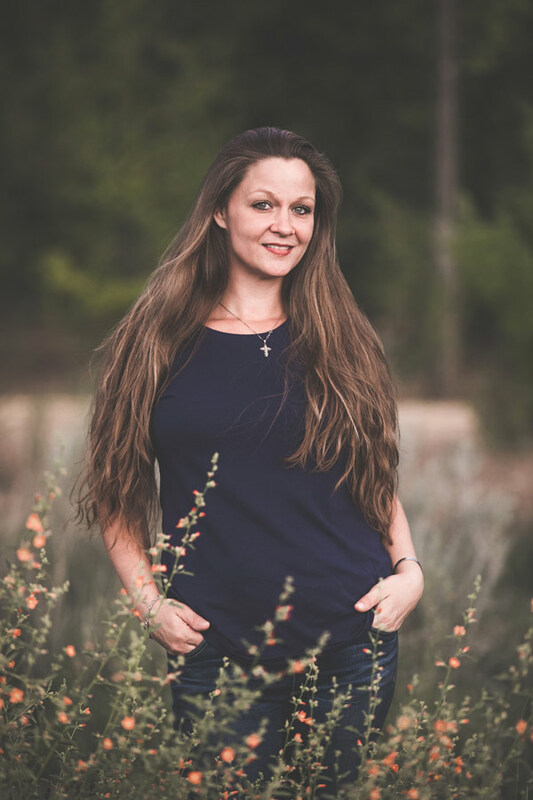 In 2010, Valerie got very sick, and by 2012, moved back to New Mexico and didn’t work for two years until she unexpectedly ended up taking over the RV Business. Val jokes that she inherited an RV business that she never knew she wanted! The added bonus is that she and Kevin have been dating, and they have a blast with Kevin’s daughter Emily. In her time off, Val drives her Mustang, waterskis, spends time with her family and friends, and uses telekinesis to help little old ladies get things off the tall shelves at the grocery store. 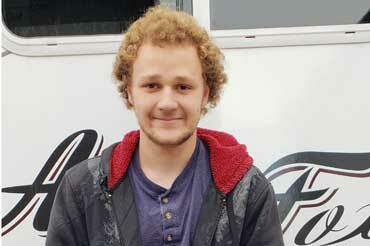 Clayton grew up in the RV business and learned nearly everything he knows from his parents, Ralph and Kathy Chowning. 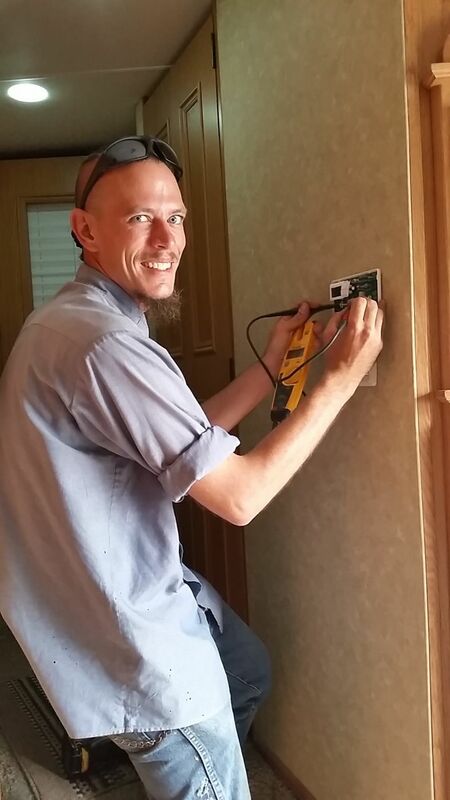 Clayton and his wife live in Durango, CO but we’ve been so busy that Clayton has started commuting to NM on a weekly basis to help us keep up with the demands of running a world class RV Company. 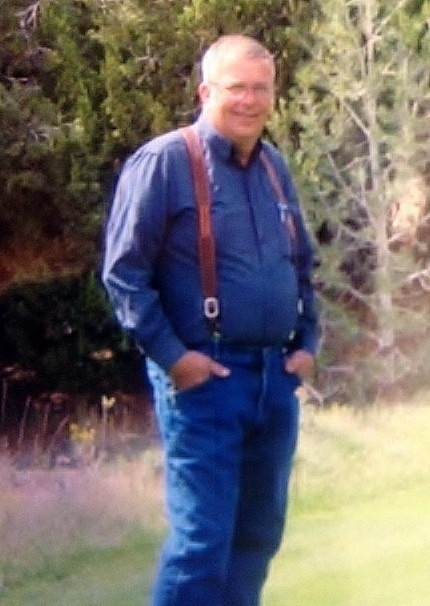 Many of our long-time customers will recall that Clayton was a championship fiddle player when he was younger. Clayton is a self-described perfectionist which is a pretty good quality for the guy who is checking to make sure that all of your repairs are done right. 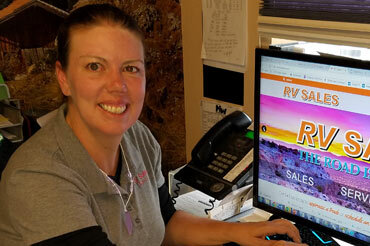 Melody has worked for RV Sales for years in our cleaning department. In February of 2014, Melody was promoted to Office Manager and rarely misses a beat. Melody is a delightful “Director of First Impressions.” Melody’s upbeat sense of humor makes us all enjoy what we do a little bit more. Whether you are ordering parts, scheduling service, or coming in to see us, Melody is always our go to gal for all of your needs. In her time off, Melody enjoys walking, an occasional glass of wine with chocolate and leaping tall buildings in a single bound. Jeanette has stepped in as our marketing Director, running our sales sites and keeping our inventory easily accessible to the public. 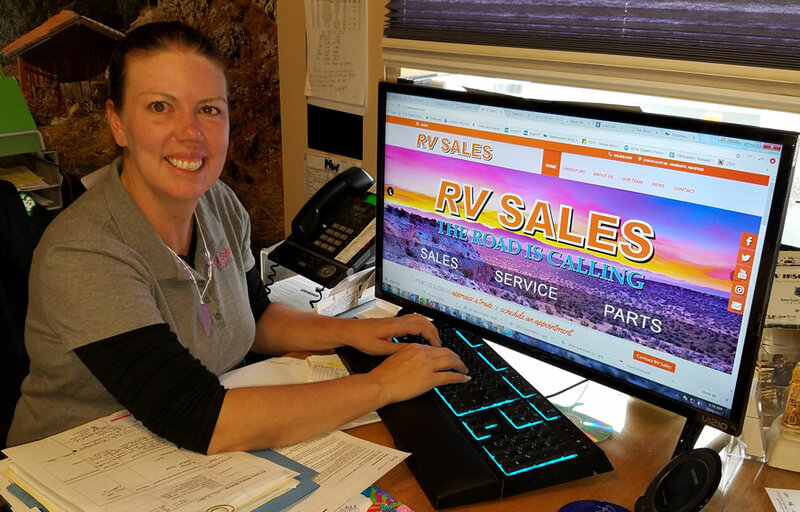 Jeanette has 10+ years in the sales and marketing industry and is happy to continue her passion with us here at RV Sales. Besides being a passionate representative of the marketing industry, she takes pride in being a Mother, Taxi service and Referee to 4 beautiful children and a dedicated wife. She jokes that when she gets the hang of something, she can do it with kids hanging off of each hip. If you haven’t had a chance to meet Jeanette yet, just share one of our social media post’s and she’ll be there to give you a thanks! 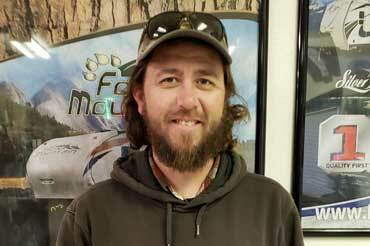 Kevin has worked at RV Sales has been Ralph’s right hand man since 2010. Kevin has stepped into the Service Manager role only two years later. 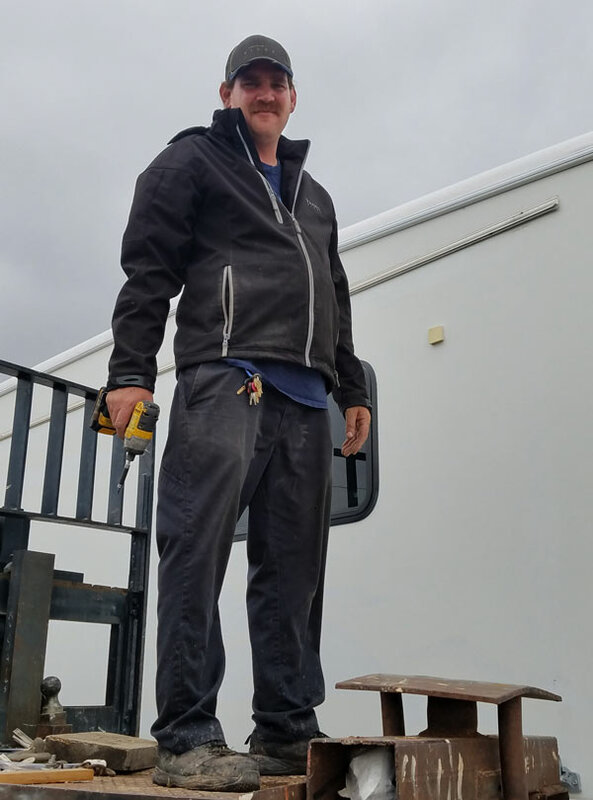 Kevin is a determined employee who is always trying to learn more and provide the best customer service, and he has earned the nickname ‘Google,’ because, whatever the question is about an RV, Kevin probably knows the answer. We have never seen someone who is as hard working or dedicated to learning his career than Kevin. Kevin is a very dedicated single dad who would make anyone proud. In his spare time, when he isn’t spending time with Valerie and his daughter, Emily. Kevin enjoys working on computers, motorcycles and old cars as well as teleporting himself to whatever major city his favorite opera is currently playing. His favorite thing about working at RV Sales is the people that he works with. We’ve been trying to find a few good service techs, so please be patient if it is hard to get on Kevin’s schedule right now. If you know of anyone willing to work, we are always looking for good talent. 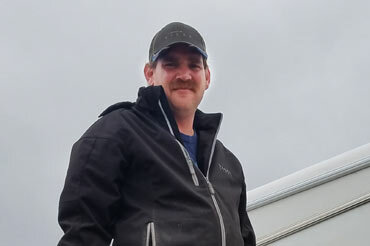 TJ is the kind of guy who cares about our customer’s satisfaction and comes to work every day with a passion for fixing RVs and keeping our customers on the road. 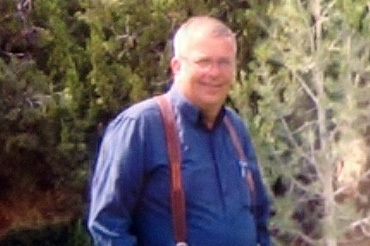 Prior to working at RV Sales, TJ has worked as a chef and auto mechanic. TJ is a proud husband and father of three adorable children who definitely keep him on his toes. 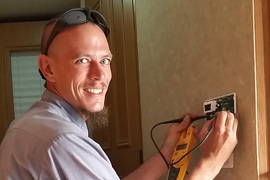 When he’s not working hard for us or spending time with his family, you’ll find him racing RC cars, where he is sponsored and holds many first place positions in that hobby. TJ joined our team in 2017 and we are sure thankful that he did! Alyssa is unlike most millennials that you will meet. She is hard working, dedicated, and incredibly responsible. Alyssa does a great job of taking care of the staff as well as our customers. Her job requires her to do everything from running errands to selling RVs. When you are in the area, check in with Alyssa, she enjoys food and can tell you all of the best places to find whatever you crave. Alyssa has worked at RV Sales since 2016 and recently came back to RV Sales after a 9 month sabbatical when she moved to Santa Clara California. We are thankful to have Alyssa back in the Southwest and on our team. Cameron joined our team in 2018, he is responsible for cleaning RVs and making sure that our lot and campground look great. Cameron was homeschooled at his family farm, where his family has parrots, a giant tortoise and lots of other unique animals. Cameron works hard at helping TJ and Clayton in the shop and we hope to keep teaching him everything about the RV lifestyle so he can grow into a great tech. We are thankful to have a smart, well rounded kid with a sure fire determination to learn on our team. EMILY, Valerie & Kevin’s daughter, is a sweetie! 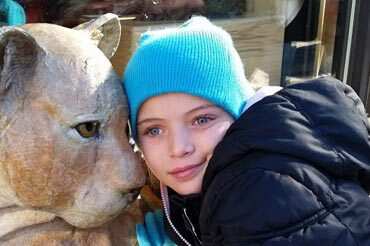 This cutie is in charge of hugs, head cheerleader for the RV Sales team, and always ready to help with our special events!